i was really excited to find a grocery store that sells frozen soft pretzels. OH MAN! I haven't had those in forever! My mum used to buy those in bulk - My favorite part was putting the salt on. Dance on! Such a great reason to! That's hysterical! My coworkers and I are laughing at this one! 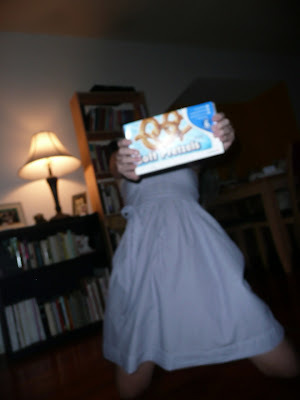 The pretzel dance...I'll have to request that one at the next wedding I go to. i love it when simple things like that make me so inexplicably happy i have to jump around like a lunatic! HAHAHA!!! i LOVE your pretzel dance! That would make me dance too! Can't wait to see you sooooon! The soft pretzel is my 'go to' ball park food...I LOVE THEM!!!! OH MAN! I love those too! My mom always has them at her house MMMMM! Also... your calves look BOMB! lol! I didn't even know that they existed!!! if you have raspberry jam laying around...you might wanna dip a pretzel in it. 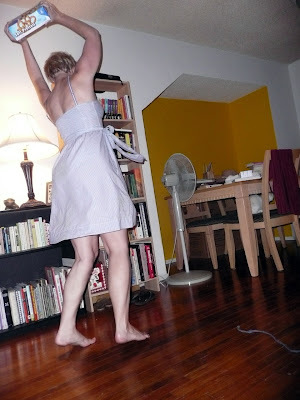 then, you'll be doing ANOTHER happy dance!! I want them I want them! this could be my favorite post i've ever read ever. First those are so good! It has been way to long, and how adorable are you :)) Love it! you, jasmine are too darn cute. I love frozen soft pretzels! Enjoy! you are one crazy woman! love your blog! hehe you're too funny! i love that dress, sooo cute! this post is so cute! 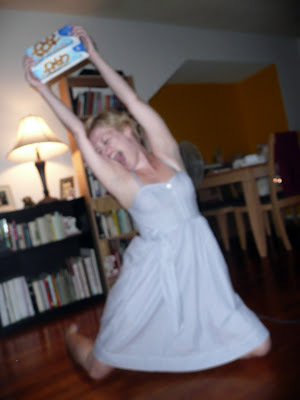 It made me laugh - cute dress, hooray for pretzels - I'm loving your blog! ah! thats awsome haha. There is no way you'd get that in australia. i love this kinda stuff about america. i'm back. with a change. look what we got in the mail yesterday!